Technology Ed is proud to offer our online courses and webinars through our accredited college and university partners. Please email us if you are interested in becoming a college/university partner. Louisiana State University in Shreveport (LSU Shreveport or LSUS) is a branch institution of the Louisiana State University System located in Shreveport, Louisiana. LSUS opened in 1967 as a two-year community college but transitioned into a four-year college five years later in 1972. With an enrollment of 4,082 students, LSUS is a multipurpose system of higher education, accredited by the Southern Association of Colleges and Schools. The University of Tennessee, Knoxville is the flagship institution of the statewide University of Tennessee system with nine undergraduate colleges and eleven graduate colleges and hosts almost 28,000 students from all 50 states and more than 100 foreign countries. In its 2014 ranking of universities, U.S. News & World Report ranked UT 106th among all national universities and 46th among public institutions of higher learning. Texas State Technical College has been providing superior training programs through collaborative partnerships with business, industry, service organizations and higher education agencies for more than 40 years. The Workforce Development staff helps clients establish specialized, custom training programs, often with the newest technologies and/or production systems available. These training programs are designed to update and improve employees’ current skills, knowledge and abilities, or to prepare new employees to enter your workforce. Founded in 1875, IUP is a vibrant, comprehensive, research-based, teaching-focused, student-centered learning community. More than 12,000 undergraduate and graduate students are enrolled in our accredited and nationally recognized programs, enjoying traditional and nontraditional classroom experiences, engaging in research and service activities with their faculty mentors, becoming lifelong learners, preparing for rewarding careers and productive lives, and developing leadership skills for effective citizenship. IUP is one of the top 100 public universities in the United States, as selected by US News and World Report. IUP has been ranked nationally as a “Best for Vets” university by Military Times. Since 1922 the Virginia Manufacturers Association (VMA) has served as Industry’s Advocate™ and our mission is to create the best business environment in the United States for world-class advanced technology businesses to manufacture and headquarter their companies for maximum productivity and profitability. As the only statewide association exclusively dedicated to manufacturers and their allies, the VMA is member-centric and has a professional staff dedicated to legislative and regulatory affairs, workforce development, member services, communications and business services. Delaware State University focuses on cutting-edge research, technology and business practices have brought the University into modernity and made it a member of the scientific, solution-seeking community. Today, it remains well in the vanguard of other four-year institutions throughout the region and country. It is the vision of WCC Workforce Development to become the primary resource in the college’s service region for workforce development, skills enhancement, customized training and testing. Working in partnership with employers, economic development, school systems and others, we will provide quality workforce development activities which will result in a well-trained and skilled workforce which meets the needs of today’s employers and tomorrow’s job challenges. Trenholm State Community College is a community college in Montgomery, Alabama. The college awards associate’s degrees and certificates in a variety of healthcare and technical disciplines. 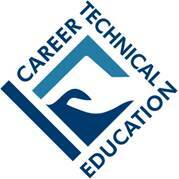 Career and Technical Education fulfills an increasingly significant role in school reform efforts. Students who concentrate in a CTE area are better prepared for the further education and advanced training required to be successful in 21st century careers. Our CTE provides an excellent intersection between vocational training/certifications and small business/entrepreneurship development.